Music is so important to our family. Our firstborn plays the piano, keyboard, acoustic guitar, bass guitar and we are not sure what else. Our second Arrow is into music much more than we anticipated. He is not only playing bass guitar, but also acoustic and even lead. He is also very much into sound systems and making music. Maybe this is the system he is looking for to create some of the sounds he wants. Arrow #3 takes after her brothers and is into the bass guitar as well. It is quite fun to see her pint-sized body managing a piece of equipment almost as big as she is! Me? I love music but can’t play as well as they do. Mine is just the guitar. 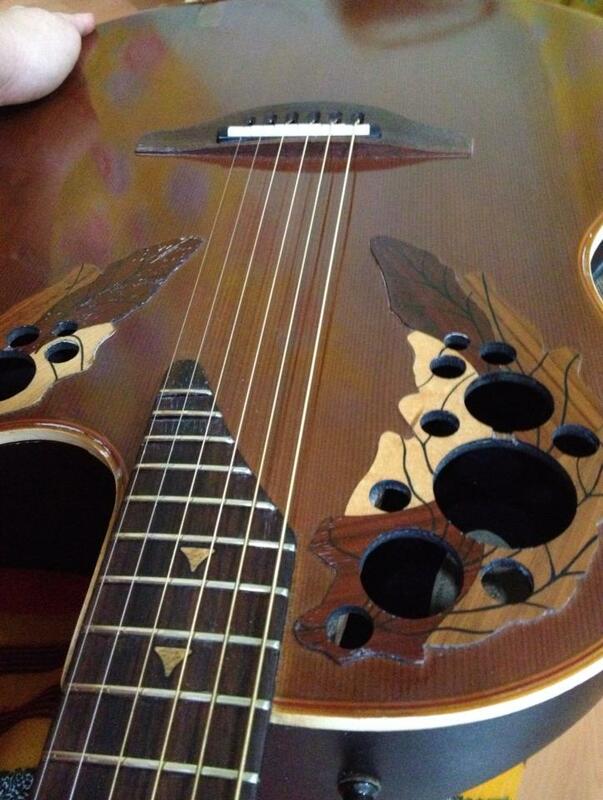 My Ovation. Nice? This entry was posted on 06/03/2013 at 21:10 and is filed under Family, Music. You can follow any responses to this entry through the RSS 2.0 feed. You can leave a response, or trackback from your own site.